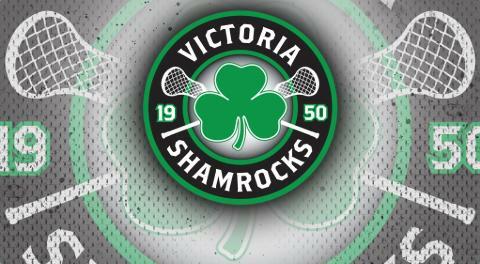 The Victoria Shamrocks are excited to announce the return of local player and veteran goal scorer Rhys Duch to the squad for the 2019 campaign to win a tenth Mann Cup national championship. Duch, entering his 11th season with the Shamrocks, grew up playing minor lacrosse with the Saanich Tigers before entering the Shamrocks organization beginning with his Intermediate A years and continuing to this day. Boasting a 4.25 points per game average, Duch has tallied up 416 goals and 507 assists in 217 regular season and playoff games in the green and white. He is a two-time WLA scoring champion (2014, 2016), was the WLA’s most valuable player in 2016, and has a Mann Cup ring as part of the 2015 championship roster. Duch joins already announced players Keegan Bell, Larson Sundown, Marshal King, and Chris Boushy on the 2019 roster, which is shaping up to compete not only for the western championship, but for the ultimate goal of a 10thMann Cup national championship. The national championships of Senior “A” lacrosse will be held in British Columbia this year, by the team that wins the Western Lacrosse Association playoff championship.